Unless I missed this, there doesn’t seem to be a night vision mode to help with being on the dark side of a planet. This is especially problematic when attacking bases on the dark side. I think a grey-tone NV mode would look cool. That could be a nice alternative to the flashlight? Yeah as the flashlight is basically useless unless you are really close to things. A nightvision mode would indeed be very useful for many contexts in I:B. Nothing more to say here really, sorry for the +1 style reply heh. I like the visuals of the light, especially for screenshots, so I wouldn’t get rid of it entirely but it’s not functionally useful. So yeah, night vision would be better gameplay. I like the idea of making it visually distinct. Some kind of fuzziness would be nice to demonstrate it’s not perfect, and I like the black and white idea - reminds me of the Thermal Imaging Cameras police helicopters use. Could it be based on that? There are situations where the HDR fails completely and you’re stuck in complete blackness with stars only being tiny little pinpricks you need to squint to even notice, has been a thing for several patches. Feel like just fixing the HDR to make night battles visible again like my zesthia base video would be a better idea than requiring yet another button for people to hit when they approach darkness. 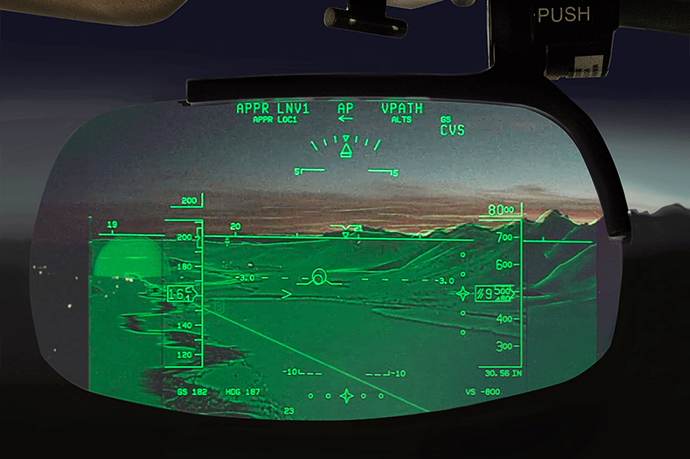 Automatic “nightvision” which is what the HDR behaves as is fairly reasonable for space technology too. I find the HDR quite annoying at the moment. It doesn’t seem sensitive enough to distant bright objects. You can be facing a planet from a way out and it blooms so much that the planet looks too bright, then you reach a certain point on approach and it suddenly darkens. I’d like it to be a bit smarter about detecting what’s actually on the screen and balancing it. I don’t mind dark space scenes getting brighter etc, but it still feels like it’s brightening too much. That’s true as well, the current HDR implementation seems to be way too sensitive but I’m guessing this is something they can tweak fairly easily. I don’t know about it acting like “automatic nightvision”, I think the current way it works is pretty realistic. If you’ve ever clearly seen the milky way in the sky, you will know it has to be pitch black around you to see it. Any light pollution and you would not be able to see it. Looking at it will very slightly improve your vision to be able to see things around, but it doesn’t help you as much as the change that happens now on Zesthia when you look at the stars. The current effect is just too exaggerated in my opinion. Fixing the HDR is actually quite difficult. Many of the problems you’re referencing are because we’re using what’s called a “global tonemapping operator”. This is what nearly all games use because it’s the fastest solution and since most games take place for long periods of time at specific levels of luminance it works perfectly ok for 99.9% of them. Unfortunately, in proper open world games, such as I:B, luminance can vary wildly in ways that can’t be predicted. This is further exacerbated by the fact that we’re using a physically accurate luminous intensity for our star. We have some ideas for how we can at least mitigate some of the problems you describe however they will all have an impact on performance and so we can’t guarantee things will, in the end, get significantly better - especially if you don’t have a high-end system. Got it and thanks for the explanation! As I said above, I’m not sure that changing how the HDR currently works would actually help with the underlying visibility problem in the dark side, hence the suggestion of a night vision mode. Do you think that makes sense or do you have a different idea in mind? Most games are just a whole bunch of cheap tricks mashed together! Rather than typical night vision which amplifies the available light, the ship should render what it’s sensors can detect on the HUD. Also, I’m sure the current landing pad indicators are placeholder but I don’t like the way they part of the environment. They are visible even when the ship is powered down! They should be part of the HUD like the runway overlay in these videos. Also, I’m sure the current landing pad indicators are placeholder but I don’t like the way they part of the environment. I agree on this. Either they need to be like actual lights on the pad, or a HUD element that is not actually ‘there’. Love the night vision overlay idea hrobertson!